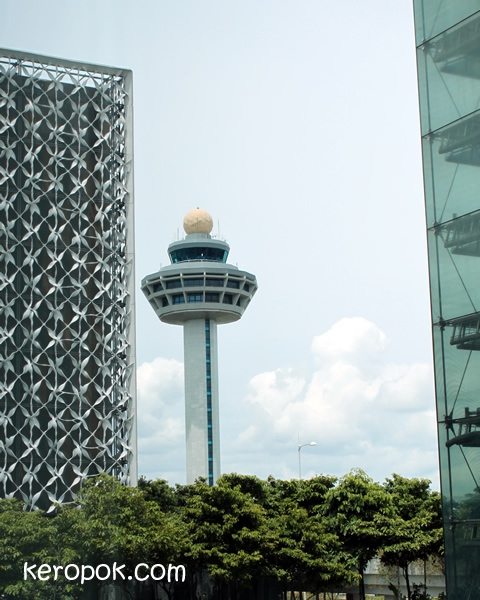 The Changi Airport (IATA: SIN, ICAO: WSSS) Air Traffic Control Tower viewed between the Crowne Plaza Airport Hotel and Terminal 3 building. It's such an icon isn't it? That when you draw that control tower on "Draw Something", people immediately know you are drawing the word "Airport"! Don't you also love the details on the next building?